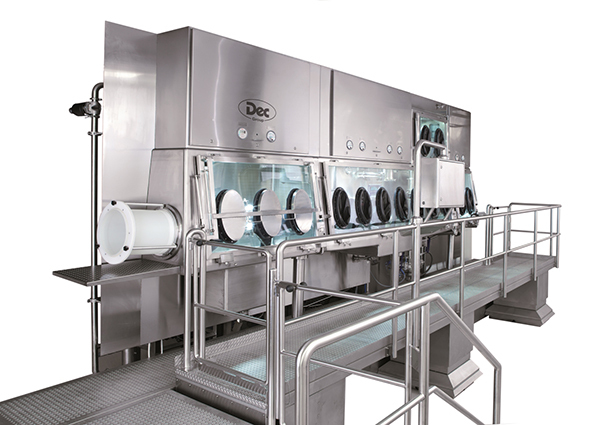 Dec Group, a provider of isolator technology and toxic and sterile component handling systems, has completed a project involving a high containment dispensing and pre-blending system for a Swiss pharmaceutical giant. The company engaged Dec Group on this project as it invested in new production facilities to meet the global demand for dry powder inhalation (DPI) products. 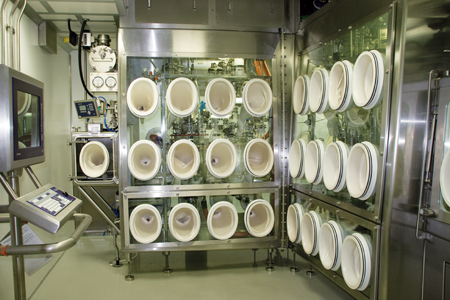 For this project, Dec supplied a series of high containment isolator systems that are used to handle highly active ingredients and excipients. 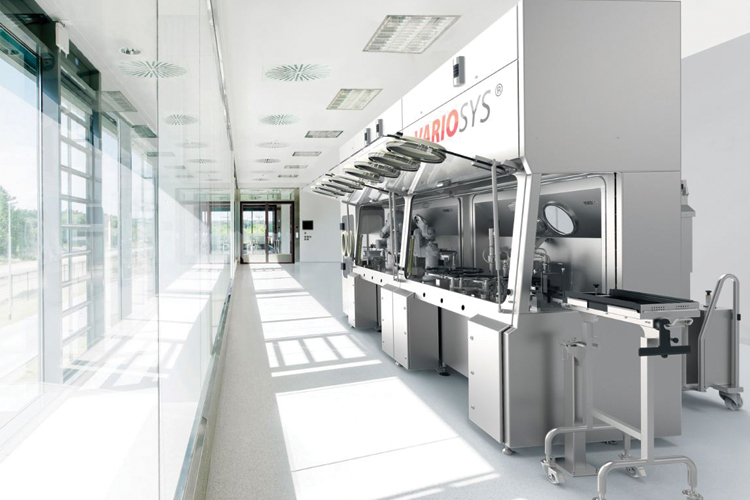 Specialised containment is required to ensure that both the operators and the environment are protected from exposure to the highly active DPI ingredients. The isolators are therefore suitable for performing operations to a maximum allowable operator exposure limit (OEL) of < 0.4μg/m3 time weighted average (TWA) over an 8 hour operational period. The high containment systems have been designed to operate at a negative pressure with air on a “once through” basis, meeting cGMP standards. They are also designed to work within an ATEX 2G/1 IIB T4 hazardous process room. 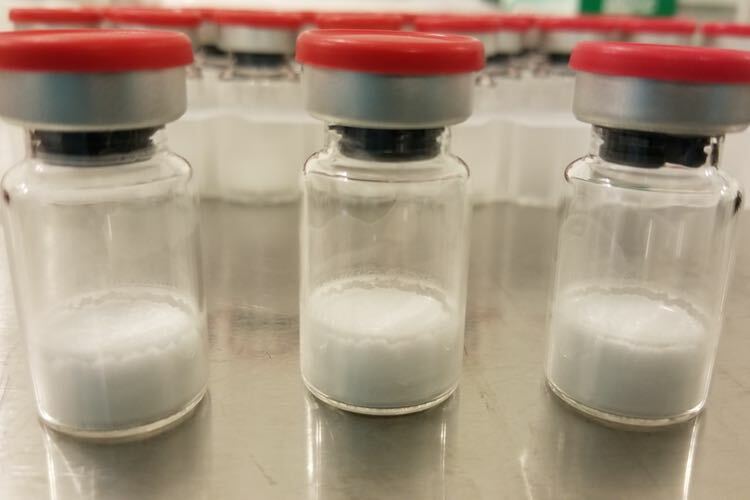 The task consists of weighing and pre-blending both high potency active pharmaceutical ingredients (HPAPIs) and excipients, and transfering them into intermediate bulk containers (IBCs). 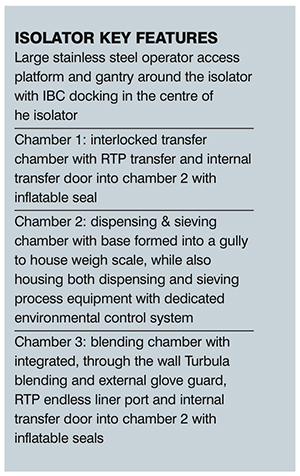 Dec’s solution was based on a three chamber dispensing and pre-blending isolator that is used for the following distinct process stages in preparation for the final dry powder blending process. 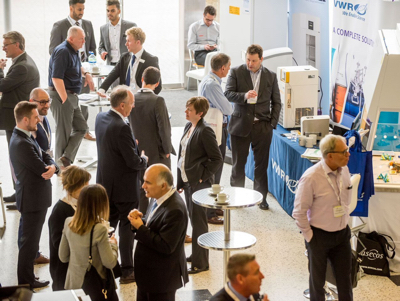 This involves the manual dispensing, sieving and pre-blending of HPAPIs and excipients using an integrated Turbula blender. Once blended, the material is then discharged from the isolator into a blend IBC, which is connected to the isolator using a Split Butterfly Containment Valve. The blend IBC is raised and docked to the ball valve using a lift platform mounted on load cells. 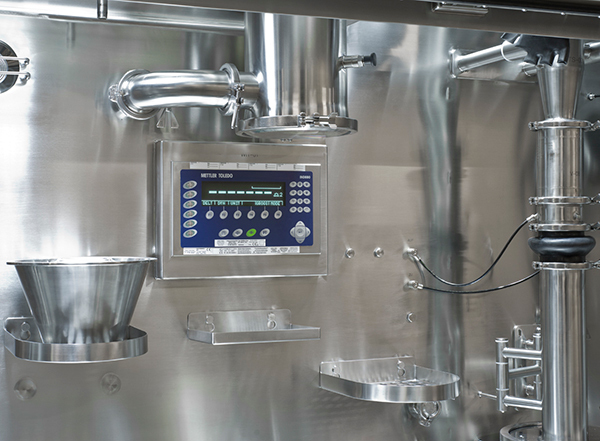 The Powder Transfer System (PTS) with integrated Dosivalve mounted inside the isolator enables the automated transfer and dosing of excipients that are contained in an external intermediate bulk container (IBC). These excipients are transferred into the docked blend IBC to a predetermined set point weight. The required target weight is achieved using a controlled feedback loop between the Dosivalve and the lift platform load cell. 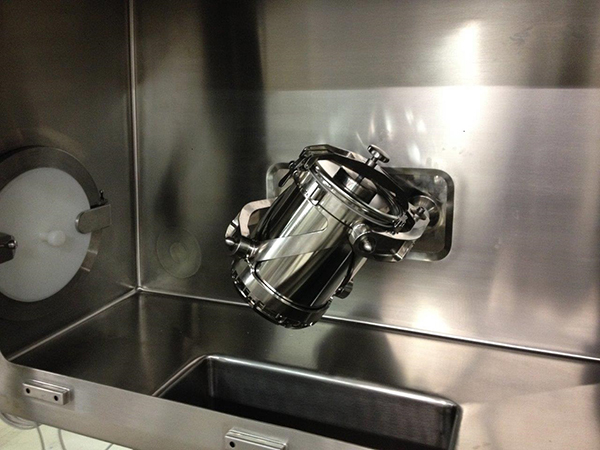 The isolator is mounted above ground level on a platform with a staircase to enable easy operator access to the isolator chambers, while also connecting to IBCs of up to 1,000 litre capacity to the underside of the isolator. The high containment system is built into the process room wall, creating a technical area around the rear of the machine that can be accessed from a separate entrance. 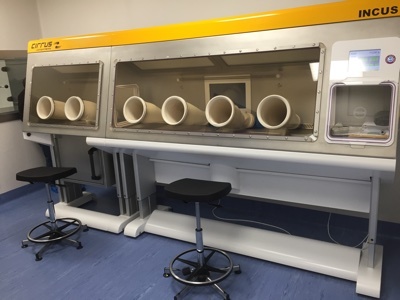 The transfer chamber (chamber 1) is designed as a secondary level of containment used to transfer APIs and excipients into the isolator for the dispensing, sieving and pre-blending process. Chamber 1 is connected to chamber 2 — where the dispensing and sieving is carried out — via an interlocked transfer door in its right hand wall. Contained transfer into the chamber is guaranteed through the use of a Rapid Transfer Port (RTP), which is mounted into the left hand side wall. 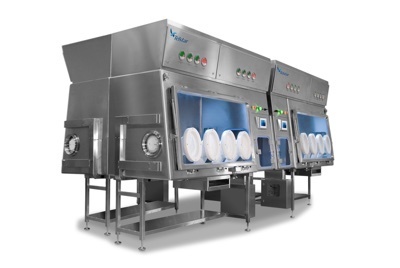 For dispensing and sieving, chamber 2 is designed as the primary level of containment and is equipped with a raised central section where the PTS and integrated Dosivalve assembly are installed. This assembly is used with a swing arm, which enables the transfer and dosing unit to be moved to the side, to permit manual charging of the pre-blend material. A vibratory sieve is mounted onto a frame to allow for the easy connection of PE bags onto the sieve. Its lower location improves manual handling and ergonomics. 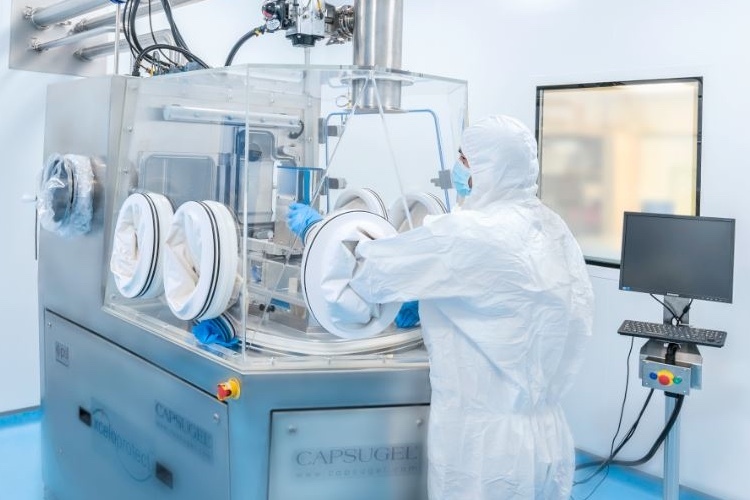 The chamber also includes high precision weigh scales that are recessed into the isolator work surface, thus permitting ledge-free transfers into the chamber. It also includes a powder collection system, further developed to function without the need for an externally mounted extract blower and additional filtration. Chamber 3 is the pre-blending chamber and hosts a through-the-wall 17 litre Turbula mixer. For safety reasons with rotating machinery, the internal transfer door is interlocked during operation and an external glove port barrier is provided. This chamber connects with chamber 2 via an interlocked internal transfer door mounted on the left hand side wall of the chamber. Contained transfer of waste packaging materials and remaining products from the isolator is provided through an RTP, which is mounted into the right hand side wall and which is equipped with an endless liner system. The isolator and process equipment have been designed for wash in place (WIP). Each chamber can be connected to an external clean in place (CIP) system. 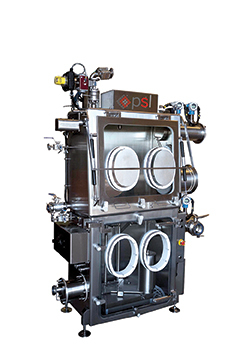 The PTS and Dosivalve assembly including transfer lines are fully CIP, enabling cleaning liquids to be transferred through the transfer lines, through the PTS and Dosivalve and discharged directly through the split ball valve. All chambers are equipped with both fixed rotating spray nozzles designed for removal of gross (heavy) contamination of the isolator and a low velocity hand held spray gun. 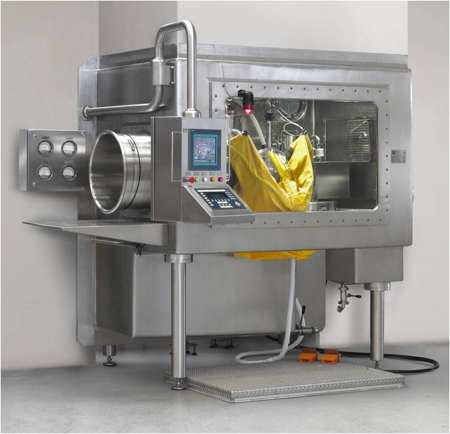 For fast drying, the isolator has been equipped with hot and forced air drying systems. There is a growing trend for reliable containment solutions that provide product and environmental safety as well as efficient powder handling, without unnecessary interfaces. 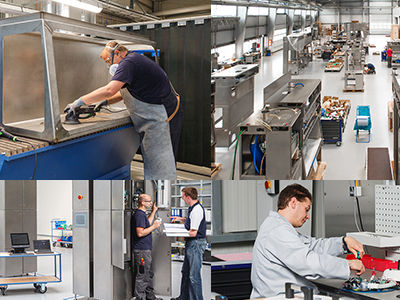 The selection of suitable technology is crucial for the success of each project. Dec is a competent provider with more than 30 years of industry experience of such containment solutions. 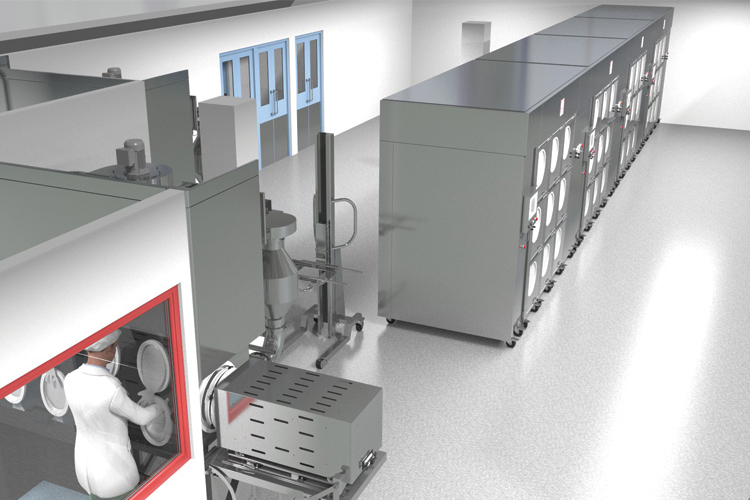 What does “flexible production” mean in the context of pharmaceutical product filling?